Misao Okawa, world's oldest person, dies: Here's her advice and more from other longest-living humans. Misao Okawa lived to be 117 years old. 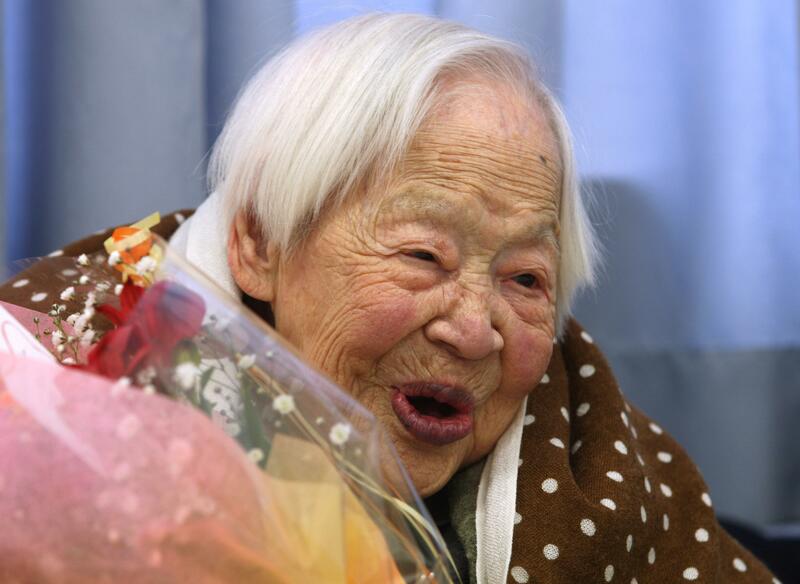 The oldest known living person, Misao Okawa, died on Wednesday in Osaka, Japan at the age of 117. At her most recent birthday party, surrounded by relatives and members of the local media, she was asked the question that springs to every journalist’s lips when in the presence of someone who’s stayed alive for a really long time: What’s the secret? Wake up early, then stay in bed as long as you like. When you decide to get dressed, don’t skimp on the fancy underthings. Breakfast: scrambled eggs, grits, bacon, and coffee with whiskey. Take in the morning papers, employing a magnifying glass and homemade brandy as needed. Have a little walk, nothing too strenuous. Be sure to mind your own beeswax while you’re out and, if you’re a lady, stay away from men! They’re more trouble than they’re worth. And be sure not to acquire any children you don’t already have. Cool off with a can of Bud. Lunch: matzo ball soup, barbeque chicken, Dr. Pepper. Entertain yourself in the afternoon with some parliamentary debates on TV. Yell at the politicians all you like! Have some ice cream. Have a cigar. Have seven. Dinner: mackerel sushi and birthday cake, in honor of the recently departed Misao Okawa. If so moved, toast her memory with some Paisano wine or Southern Comfort. Go to bed whenever and sleep 12 hours or more. Repeat. Outlive 11 popes.